Ashley is back! As well as performing some zany poems, Ashley and his beard will take you into Greta Zargo’s madcap world. 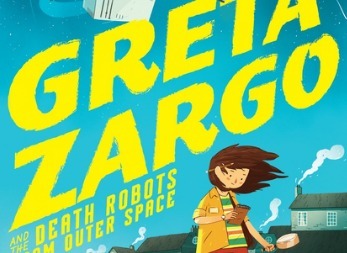 ‘Greta Zargo’: Greta is an ordinary(ish) eleven-year-old orphan girl with journalistic aspirations, an absent-minded inventor aunt and a pair of ex-circus grandads. She’s on the hunt for that elusive Big Scoop that will finally get her name on the front page of The Local Newspaper and win her the prestigious Prilchard-Sprizer Award.